“Marcantonio: East Harlem’s ‘bread of the poor,’” a review article of Gerald Meyer’s Book, Vito Marcantonio: Radical Politician, 1902-1954, by Gil Fagiani. The 60th Anniversary Commemoration at Woodlawn was a success! We will soon post a full update on the commemoration of Marc’s death at Woodlawn Cemetery, but for now — please enjoy this amazing speech by Assemblyman Robert Rodriguez. 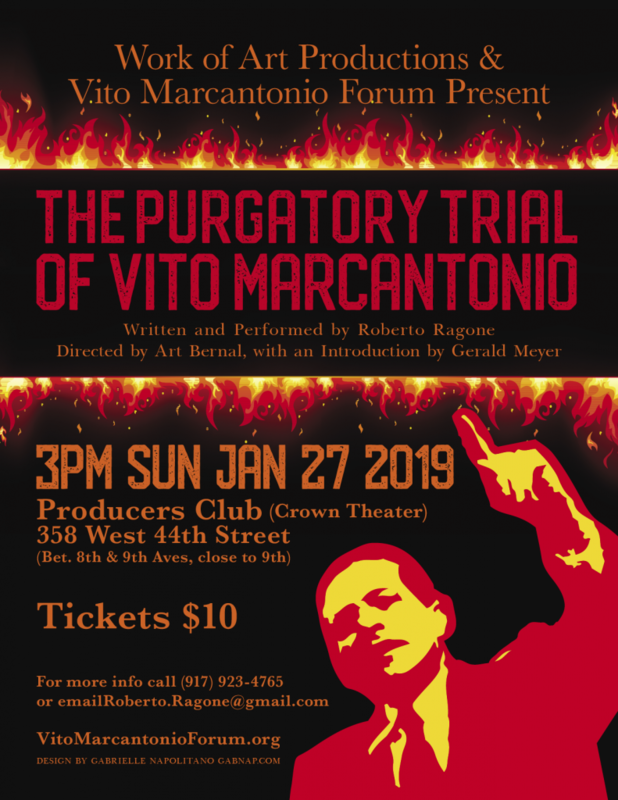 Posted in events, Uncategorized, Vito Marcantonio Forum	| Tagged Adam Milat-Meyer, Chris Bell, David Giglio, Gerald Meyer, Luis Romero, LuLu LoLo Pascale, Melissa Mark-Viverito, Morgan Powell, Robert Rodriguez, Roberto Ragone, Vito Marcantonio, Vito Marcantonio Forum, Woodlawn Cemetery, Woodlawn Conservancy	| Comments Off on The 60th Anniversary Commemoration at Woodlawn was a success! This Vito Marcantonio web site is dedicated to commemorating and continuing the work of a great leader of the American Left. Vito Marcantonio (1902-1954) represented East Harlem in the House of Representatives for seven terms. He acted as floor leader for major civil rights legislation, submitted five bills for Puerto Rico’s independence, led the fight against the Cold War, and rallied to prevent the passage of the anti-labor Taft-Hartley Act. In his last term, he cast the sole votes against House Committee on Un-American Activities’s contempt citations and against the Korean War. “Marc” served as state chairman of the American Labor Party, and was a founder of the Progressive Party. He served as attorney for Pedro Albizu Campos, W.E.B. DuBois, William Patterson, Ben Gold, as well as the Communist Party. A protégé of Fiorello LaGuardia, he lived his entire life in Italian Harlem. Through his creation of a coalition of East Harlem’s Italian-American, Puerto Rican, and African-American communities, and the mobilized support of the Left, he became the nation’s most electorally successful radical of the last century. The Vito Marcantonio Forum Has Been Launched!!! Buy your autographed copy of Radical Politician today!